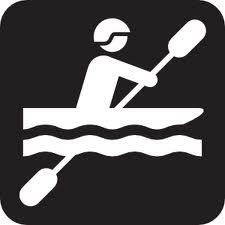 In honor of preparedness month coming up, I decided to expand my knowledge base and take on kayaking. Although kayaking may primarily be thought of a wilderness survival skill, there are many waterways around our cities and the skill of kayaking may come in handy if you need to get off an island, like Manhattan, in a hurry. During the attack on 9/11 many people were trapped by the edge of the water and were rescued by good samaritan boaters. So I signed up with Mountain Valley Guides in Cornwall on Hudson, NY and Bill was my guide/instructor for my three-hour tour. Yes, I really did sing the Gilligan Island theme several times. Mountain Valley Guide’s instructions were to bring only things you do not mind getting wet. I emptied out my pack and brought only my snacks, my EDC and insect repellent. What else could I really need? I didn’t want to lose anything in the river that I would miss, so I left everything else behind. Bill was a great instructor, he explained the mechanics of rowing a kayak, the procedures in the event we rolled out and how we were to communicate with each other on the water. We rowed to several points of interest on the Hudson river and beached so we could have a snack and others in my group could go for a swim. Unfortunately, as I exited my kayak, my sandal broke and I had to walk on the rocky shore barefoot. I looked at what I packed to ascertain if I could repair my sandal. 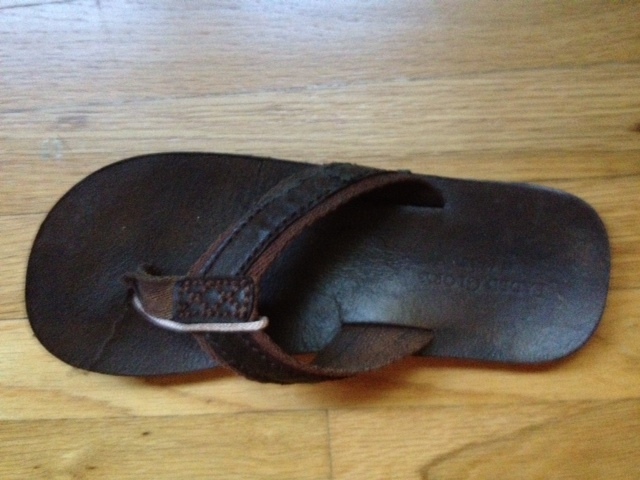 Nothing on my EDC could be used to poke a hole in the sandal to repair it. It really didn’t matter because I didn’t bring my paracord bracelet so I didn’t have any cord to repair the sandal. Ugh, I made the rookie mistake of assuming I didn’t need my basic kit! I asked Bill if he had a multitool and he whips out the biggest Swiss army knife I have ever seen. Well it helped poke a hole in the sandal bit I had nothing to fasten the straps together. Once again, Bill came to the rescue with some cord and I repaired my footwear. Lesson learned. We take the time to put together our personal kits and we should trust that we made the right decision. Although we always need to balance what we carry with us; there are people out there who carry tons of “needed” equipment, we should always assess our needs based on any given activity or environment. If you haven’t taken a class/tour on kayaking, I highly recommend it. That little boat may be your only way out someday. In addition, it is a really fun activity! September is National Preparedness Month! Yey!!!!!! Whoo hooo! Let’s celebrate! Okay……. enough of that. So, nothing for the good ol’ urbanites. Well that is why I write this blog! Here are some suggestions that can help start you off on your journey to urban preparedness. 1. Make a Go Bag. 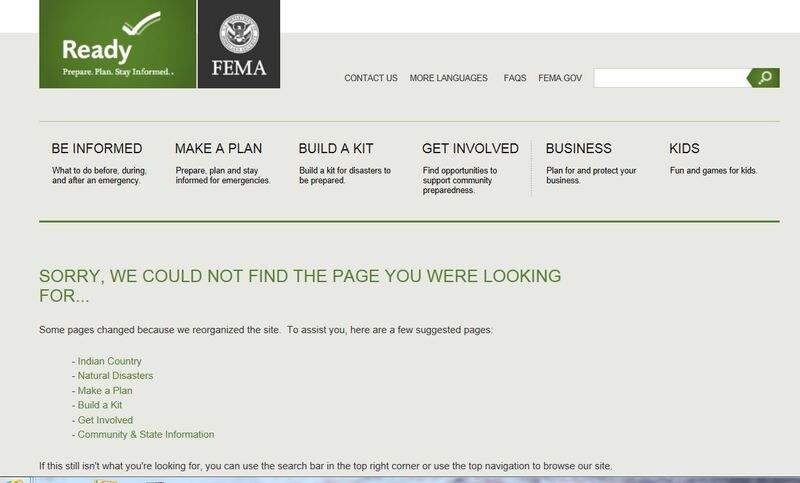 Start with the basic one here http://www.ready.gov/basic-disaster-supplies-kit add or subtract items based on your needs. For instance FEMA recommends a gallon of water for each person per day for three days. For me and my two kids that is 9 gallons of water. Each gallon is over 8 pounds (weight) each so that is almost 75 lbs of weight just in water! I’ll buy a filtration kit. The lesson, put in only what you need and can carry. 2. Put together a small tool kit. Consider investing in a muti-tool, add a small flashlight, cutting tool, compass and lighter (easier than carrying matches). This you can carry on your person. 3. Figure out what best personal protection device you will need and feel comfortable carrying. There is no looting in the jungle, but there is in the urban jungle. A tactical flashlight and a legally obtained knife (check your state for rules) are a good choice to start. Alright I know what you are thinking…… he didn’t mention a firearm. That doesn’t mean I do not recommend them. Unfortunately not all states allow it. But if you can legally carry one and can practice with it….. go for it. Like everthing here, it is your personal choice. 4. Subscribe to your local emergency notification sites. Local emergency management offices and police departments have systems that will notify residents of issues that come up. The one that I subscribe to for my areas also has traffic announcements. This is helpful when you are trying to bug out of town and want to avoid others who are doing the same. 5. In addition to road maps (try to get topographical ones and learn how to read them), obtain bus maps and subway maps for your area. Plot out potentially dangerous areas like nuclear power plants (really, I have on in my neighborhood). 6. Stock up on medications. Pharmacies will be looted or closed. Make sure you rotate your stock. 7. Write down a plan to communicate with friends and family. Establish check-in points and places outside of your area that will be your first choice to go to. Understand that it may not be accessible and that you will have to designate an alternative place. 8. Include in your go bag some items of comfort. Pictures, books, ipod. Yes, it will make the difference. 9. Practice-Practice grabbing the go bag and going. Practice driving northern routes, southern routes, etc. Practice having to walk and plot along places that you can shelter in place if necessary. 10. Suggest other things here to your fellow urban survivalists!